Published: Oct. 24, 2012 at 11:45 a.m. Updated: Oct. 24, 2012 at 05:08 p.m.
Defense still wins championships in the NFL. 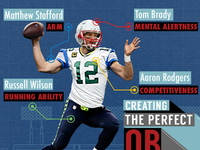 That's why the Minnesota Vikings shouldn't be dismissed as viable contenders in the NFC. A defense that has traditionally ranked among the best in the league has not only regained its swagger, but is starting to create the kind of disruption that fuels extended runs in the postseason. The Vikings rank ninth in total defense and sixth in scoring defense, and are tied for third in sacks. 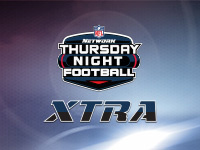 Most impressively, the unit has keyed impressive wins against the San Francisco 49ers and Detroit Lions, two teams that went to the playoffs a season ago. 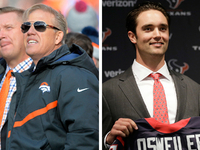 While some will scoff at the notion of the Vikings sustaining their promising start due to offensive question marks (a young quarterback and the lack of a true No. 1 receiver), after studying the All-22 Coaches Tape, I believe the return of the Purple People Eaters is enough to make Minnesota a legitimate player in the NFC race. The Tampa 2 is alive and well in Minnesota. 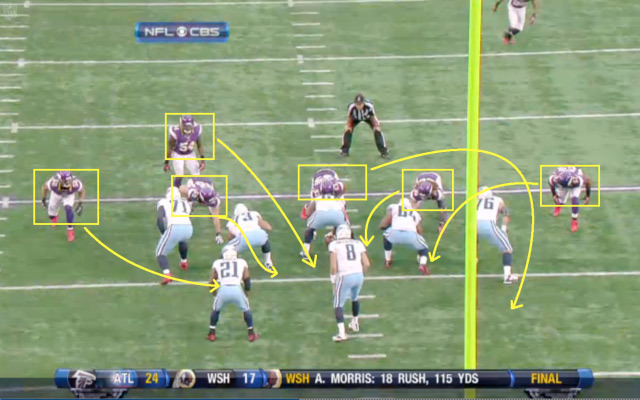 The simplistic scheme that was popularized by former Vikings defensive coordinator Tony Dungy during his time with the Tampa Bay Buccaneers has been a staple of Minnesota's defensive playbook over the past decade. Former Dungy assistants Mike Tomlin and Leslie Frazier implemented the scheme while serving as defensive coordinators for the Vikes. 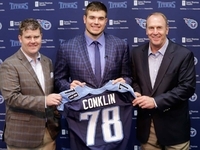 Alan Williams, Minnesota's new defensive coordinator and another Dungy disciple, has tweaked and modified the scheme to fit the team's current personnel, but the philosophy remains the same. 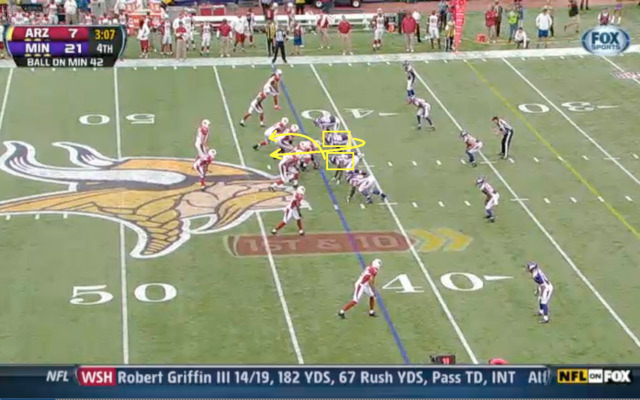 The Vikings take the run away on early downs, utilizing a simple, one-gap scheme that features eight-man fronts. 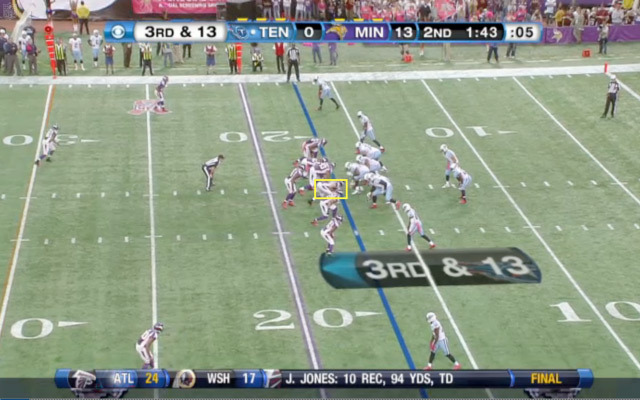 Eventually, Minnesota forces opponents to throw against a stifling coverage that takes away the vertical passing game. 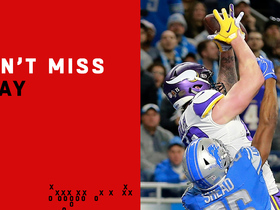 The Vikings coax undisciplined quarterbacks into making mistakes and turnovers when they ignore the open check-down and attempt to squeeze the ball into tight windows. This unit's discipline, effort and hustle really stand out on tape. 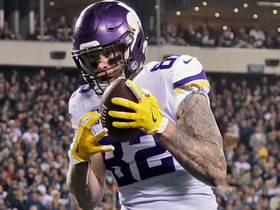 The Vikings are sound with their gap assignments against the run, while also showing exceptional attention to detail with their drops in pass coverage. The simplistic approach results in superb execution, and Minnesota has been able to overwhelm opponents with its tenacity and physicality. 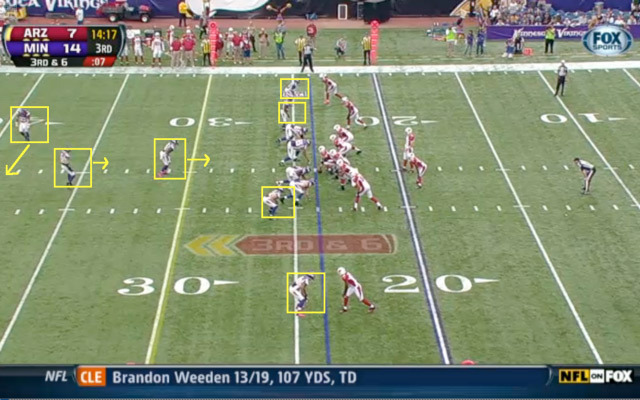 This creates hesitancy in the quarterback's mind, providing the Vikings' pass rush with more time to get home. 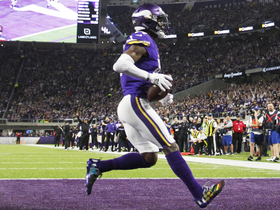 With Williams employing a simple (but effective) scheme that eliminates big plays and forces opponents to sustain long drives, the Vikings are able to keep the score down and give their offense chances to win late in the fourth quarter. The Vikings' defensive dominance starts in the trenches. Defensive coordinators around the NFL will quickly tell you that the only way to consistently win is to own the line of scrimmage. Although the premise sounds simple in theory, it's difficult to achieve without the depth and talent to wear opponents down over the course of a game. As I studied the Vikings on tape, I came away impressed with their ability to dominate the line of scrimmage with their front four. 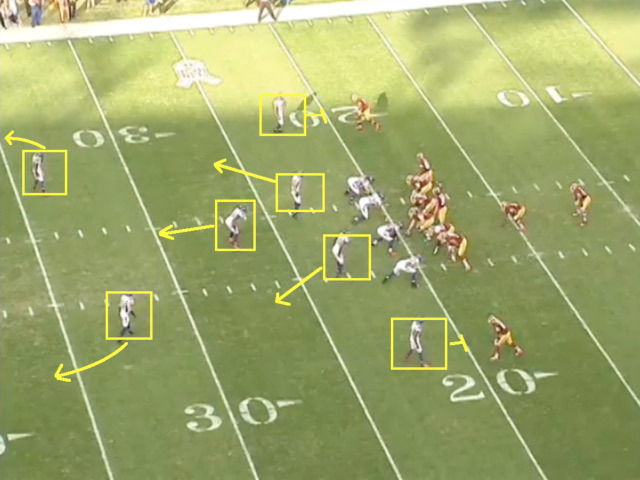 The unit routinely plays on the opponent's side of the ball, and the consistent penetration has been critical to Minnesota's success against the run. 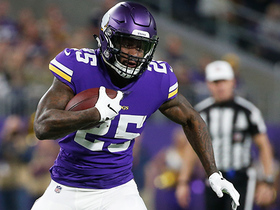 The Vikings are allowing just 3.9 yards per rush -- tied for ninth in the NFL -- while surrendering just two runs of 20-plus yards and one run of 40-plus yards in 181 attempts. 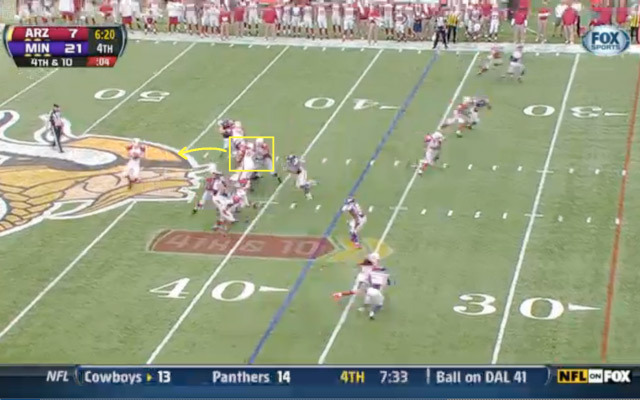 By holding opponents under 4 yards a pop, Minnesota forces quarterbacks into long-yardage situations, freeing a deep and talented defensive line to aggressively rush up the field and create disruption in the pocket. As a result, the Vikings have racked up 22 sacks, with the defensive line accounting for 16. Part of the Vikings' D-line success can be attributed to a rotation that includes seven defenders who thrive in specific roles. Jared Allen and Brian Robison play extensively on the edges, and their explosiveness overwhelms opponents at the point of attack. Everson Griffen is a playmaker with the ability to wreak havoc on the pocket from multiple alignments. With experience as an outside linebacker, defensive end and defensive tackle, Griffen is the hybrid rusher every defense needs to fulfill an exotic sub package. On the interior, Kevin Williams and Letroy Guion are versatile defenders who can rush the passer or stop the run from a shade position. Christian Ballard and Fred Evans are effective run stoppers as part-time players; they allow Williams and Guion to remain fresh for passing downs. 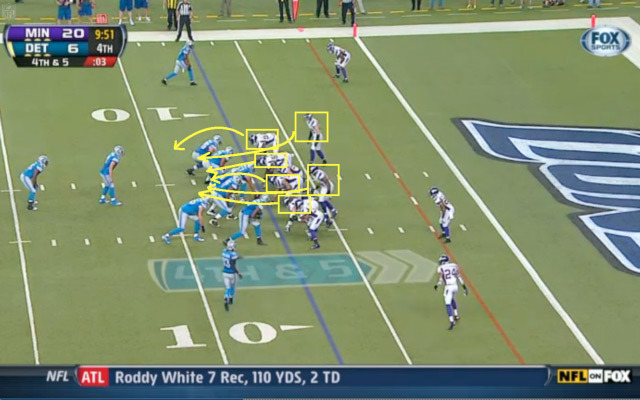 With each player thriving in an assigned role, the Vikings' front line can be a nightmare for any opponent. The result? Allen sacks Matt Hasselbeck for an 11-yard loss. Robison finishes the play by sacking Arizona Cardinals quarterback John Skelton for a 9-yard loss. With Detroit Lions tackle Jeff Backus assigned to block the most dangerous threat to the inside, Griffen waltzes in unimpeded for a sack. Once again, Skelton is taken down for a big loss. Harrison Smith is the straw that stirs the drink. The evolution of the NFL into a spread-formation league has made it imperative for elite defenses to have a hybrid safety in the starting lineup. NFL tight ends possess the speed and athleticism of wide receivers in bodies built like those of NBA power forwards. 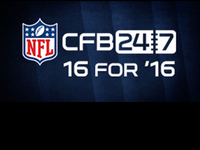 Safeties must have corner-like movement skills while also displaying linebacker physicality. Smith certainly fits the bill, with a 6-foot-2, 214-pound frame and a nasty disposition that intimidates pass-catchers venturing over the middle of the field. 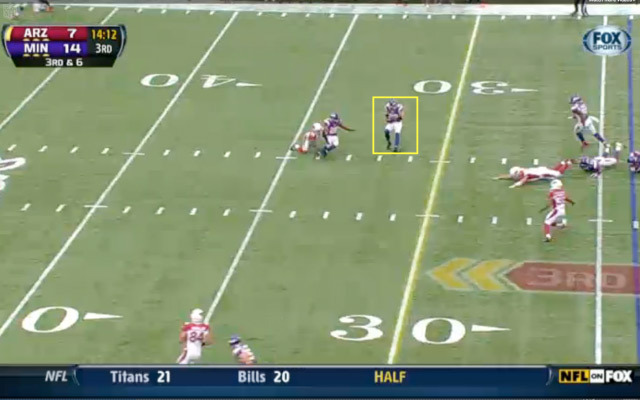 After studying the All-22, I'm surprised at how quickly Smith has developed into a Pro Bowl-caliber safety. He is versatile enough to make plays against the run as a box defender, but he also displays the cover skills and range to be effective in man or zone coverage. 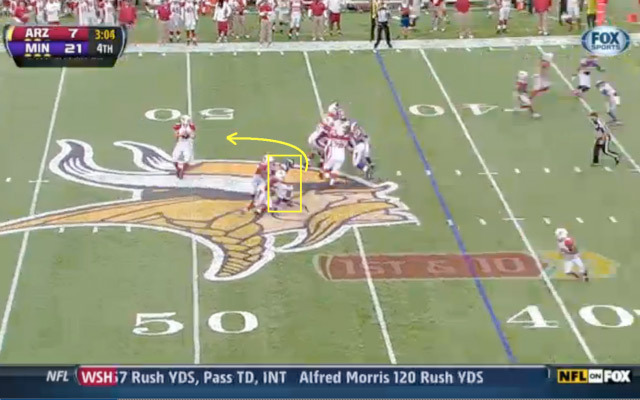 This enables the Vikings to utilize Smith in a variety of ways. The resulting pick-six -- Smith's first career interception -- was a game-changing play in Minnesota's 21-14 win last Sunday. With Smith able to patrol the middle as a head-knocker against the run and a ball-hawk in passing situations, the Vikings' secondary has played a pivotal role in the defense's impressive start. If Smith can continue to play with the savvy and swagger of a veteran, Minnesota's D certainly will pose problems for opponents down the stretch.